Most of the Herrenweg Gewurztraminer was planted by my father or grandfather between the late 40s to the early 70s. Anything planted after that date is usually declassified in our varietal wine. 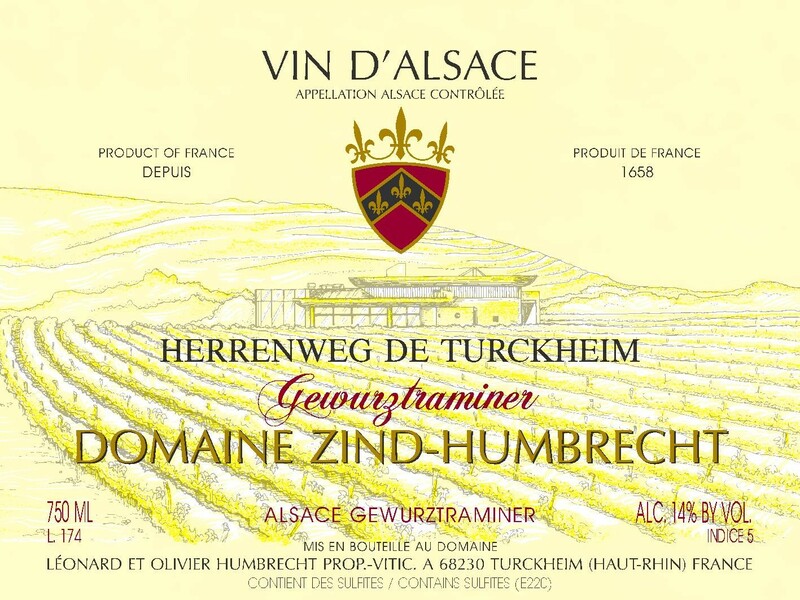 Gewurztraminer finds the best growing conditions in traditional marl calcareous soil, but the Herrenweg gravelly soil, associated with a precocious climate, has always allowed an intense aromatic expression of this grape. The precocity of the vineyard is explained by the capacity of gravelly soil to drain water and warm up quickly after rains, bringing lots of heat to the roots and therefore pushing the grapes to ripen early. When summer isn’t too dry and hot, this vineyard has the capacity to produce wines with huge aromatic potential and nice structure. The vines developed significant noble rot in 2008, which explains the richness of this wine, structured like a late harvest wine. 2/2010: the nose shows the classic 2008 features: lots of flowers, intense with noble rot influence that adds spices, leathery and complexity. The palate is rich, almost decadent, very long, and unusual for Herrenweg, but also superbly balanced by a firm acidity.